While there are a few stories surrounding the Maneki Neko, or Fortune Cat as we Chinese know it, here’s the one that explains its origins. This story goes that a wealthy feudal lord was taking shelter under a tree near Gōtoku-ji temple (in Western Tokyo) during a thunderstorm. The lord saw the temple priest’s cat beckoning to him and followed; a moment later the tree was struck by lightning. The wealthy man became friends with the poor priest and the temple became prosperous. When the cat died, supposedly the first maneki-neko was made in his honor. First of all, Gokutoji Temple is incredibly out of the way. You have to take a train from Shibuya to Setagaya Station, and take a monorail to Miyanosaka Station. Upon reaching the stop, I kinda started feeling a little surreal, with the light rain falling gently over the quiet town. I navigated to the temple, and was greeted by a abandoned-looking temple. I wasn’t sure if it was open, since there wasn’t a single person in sight. I ventured in and walk around the huge frontyard. 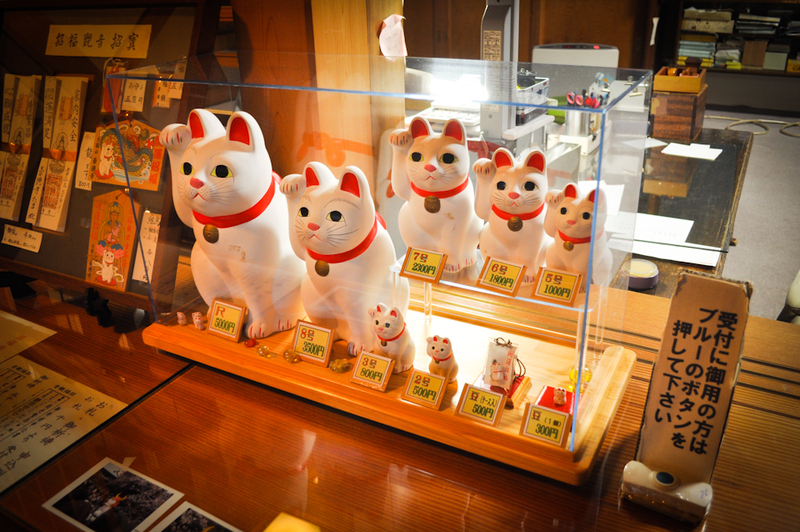 It was only the inviting fortune cat stand that made me go inside where I could find Maneki Nekos for sale. They have a range of nekos in its standard, unbastardised form. The bigger you want them in, the more expensive. The small ones make really good souvenirs, especially now that you know the story. 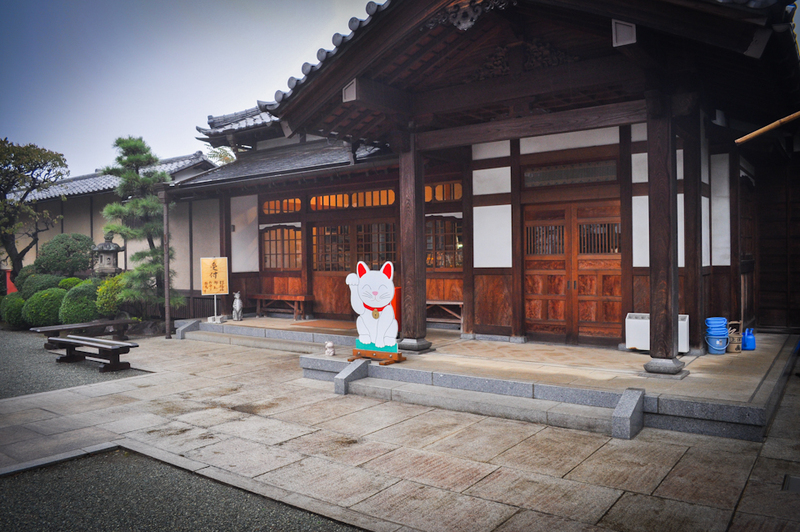 Another legend speaks of the origin of the Maneki neko to be in Imado Temple in East Tokyo. An old woman living in Imado (eastern Tokyo) was forced to sell her cat due to extreme poverty. Soon afterwards the cat appeared to her in a dream. The cat told her to make its image in clay. She did as instructed, and soon afterward sold the statue. She then made more, and people bought them as well. They were so popular she soon became prosperous and wealthy. Which is the real origin? I guess we will never know.